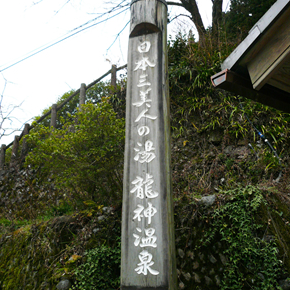 Ryujin Onsen is one of the three famous Bijin-no-Yu beautifying hot springs of Japan, which include Kawanaka Onsen in Gunmma Prefecture and Yunokawa Onsen in Shimane Prefecture. 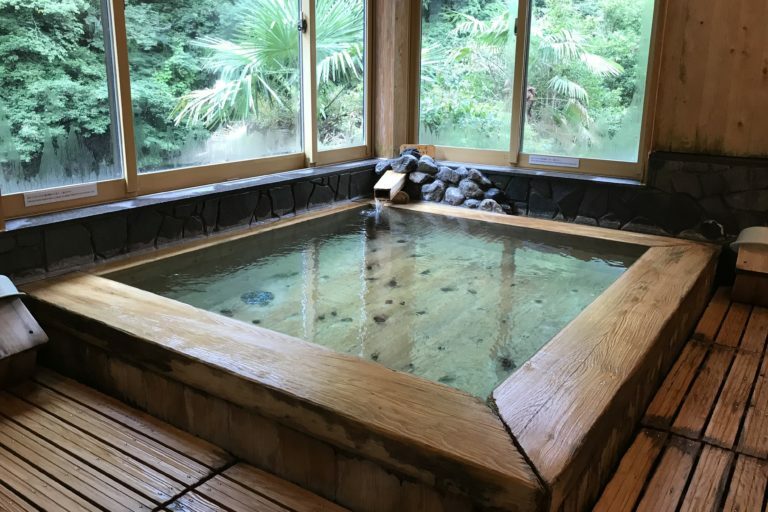 It is a sodium hydrogen carbonate hot spring which gentle removes oil from your skin, making it feel smooth.Drinking the water also improves your inner beauty by promoting kidney functioning. The silky smooth waters leave the skin clean and healthy, soothingly warming the body to its core. 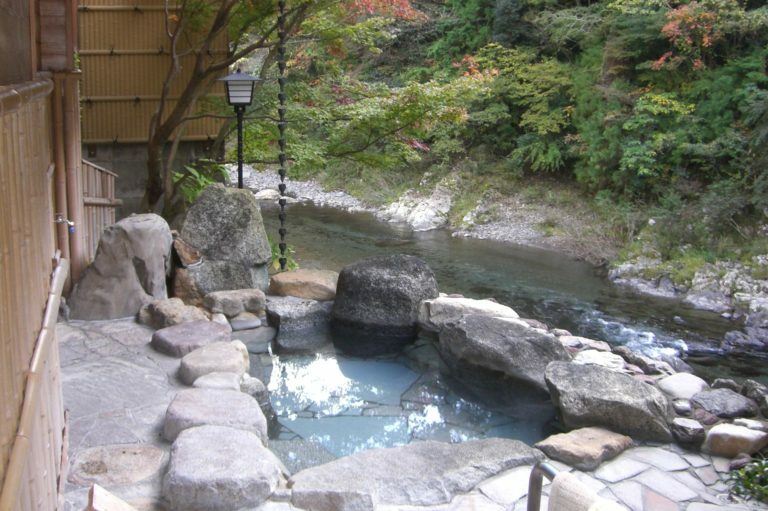 There are two kinds of baths at Kamigoten, inside and outside. 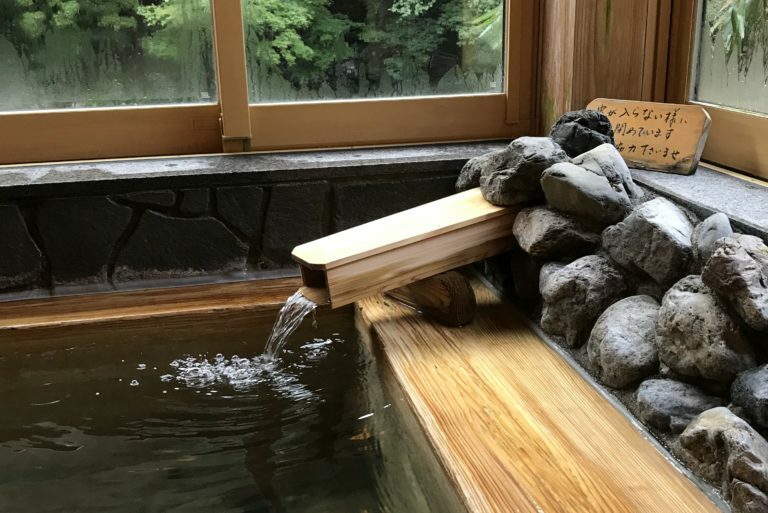 The rock-lined outside bath, or roten-buro, can be reserved for private use, which is great for couples.It overlooks the crystal clear Hidaka River. 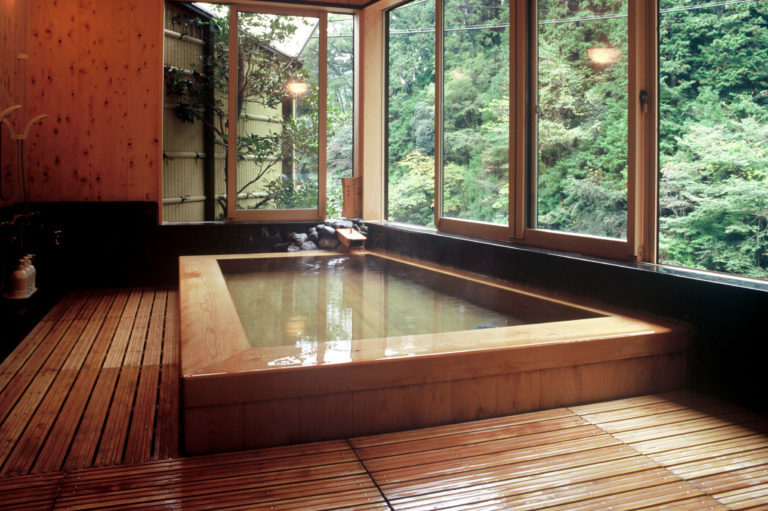 The fragrant cypress-lined inside bath also has wide windows so guests can fully enjoy the beautiful natural scenery. Copyright © 2019 日本三美人の湯と呼ばれる龍神温泉にある旅館　有形文化財-上御殿- All rights Reserved.